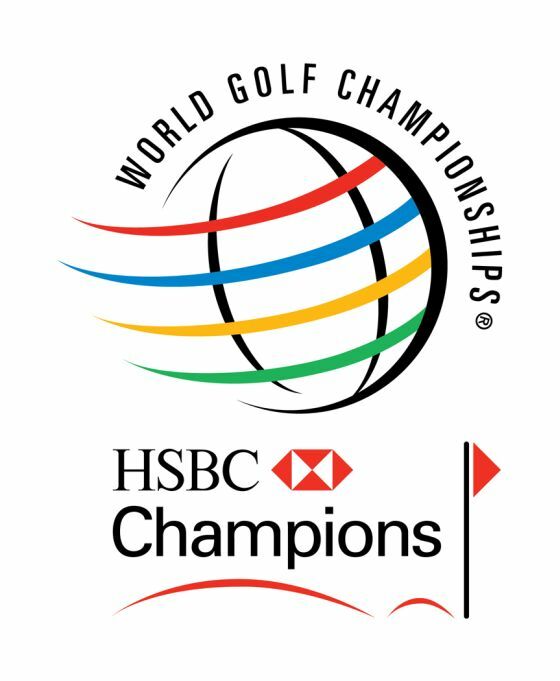 Played since 2005 at the Sheshan Golf Club in communist China, the WGC-HSBC Champions was elevated to World Golf Championship status in 2009. In this, it joins the WGC-Accenture Match Play Championship, the WGC-Cadillac Championship and the WGC-Bridgestone Invitational as one of four WGC events. The event carries a purse of approximately $5 million. 1. Winners of the 2011 Masters, PLAYERS Championship, U.S. Open, British Open, and PGA Championship. 2. Winners (not otherwise exempt in 1. above) of the 2011 WGC-Accenture Match Play Championship, WGC-Cadillac Championship, WGC-Bridgestone Invitational, and 2010 WGC-HSBC Champions. 3. Winners, (not otherwise exempt in a higher category*) from 23 PGA TOUR cosponsored events in 2011, which shall be identified as those 23 official money PGA TOUR events from 2010 with the highest Official World Golf Ranking Strength of Field Rating, having a rating of 40 points or more. 4. Top 5 available players (not otherwise exempt in a higher category*) from the final 2011 PGA TOUR FedExCup Points List. 5. Winners (not otherwise exempt in a higher category*) from 23 European Tour sanctioned events from the 2010 WGC-HSBC Champions through the event preceding the 2011 WGC-HSBC Champions, which shall be identified as those 23 European Tour events from the 2009 WGC-HSBC Champions to the 2010 WGC-HSBC Champions. 6. Top 5 available players (not otherwise exempt in a higher category *) from the European Tour’s Race to Dubai as of 17th October 2011. 8. Winners (not otherwise exempt in Categories 1-6 or not already exempt AS A WINNER ONLY in Categories 7,9 or 10*) from 5 Sunshine Tour sanctioned events from the 2010 WGC-HSBC Champions to the event preceding the 2011 WGC-HSBC Champions, which shall be identified as those 5 Sunshine Tour events from the 2009 WGC-HSBC Champions to the event preceding the 2010 WGC-HSBC Champions with the highest Official World Golf Ranking Strength of Field Rating, having a rating of 40 points or more. If fewer than 5 players are eligible via this category (i.e. there is one or more multiple winners within these 5 events, or the winner has already won an event in Categories 7,9 or 10, or is otherwise exempt in Categories 1-6, or there are insufficient tournaments with the approved rating), additional players from the final 2010 Sunshine Tour Order of Merit in order of their positions, shall fill this category to 5 eligible players. 9. Winners (not otherwise exempt in Categories 1-6 or not already exempt AS A WINNER ONLY in Categories 7,8 or 10 *) from 5 Australasian Tour sanctioned events from the 2010 WGC-HSBC Champions to the event preceding the 2011 WGC-HSBC Champions, which shall be identified as those Australasian Tour events from the 2009 WGC-HSBC Champions to the event preceding the 2010 WGC-HSBC Champions with the highest Official World Golf Ranking Strength of Field Rating, having a rating of 40 points or more. If fewer than 5 players are eligible via this category (i.e. there is one or more multiple winners within these 5 events or a winner has already won an event in Categories 7,8 or 10 , or is otherwise exempt in Categories 1-6, or there are insufficient tournaments with the approved rating), additional players from the final 2010 Australasian Tour Order of Merit, in order of their positions, shall fill this category to 5 eligible players. 10. Winners (not otherwise exempt in Categories 1-6 or not already exempt AS A WINNER ONLY in Categories 7,8 or 9*) from 9 Asian Tour sanctioned events from the 2010 WGC-HSBC Champions to the event preceding the 2011 WGC-HSBC Champions, which shall be identified as those 9 Asian Tour eventsfrom the 2009 WGC-HSBC Champions to the event preceding the 2010 WGC-HSBC Champions with the highest Official World Golf Ranking Strength of Field Rating, having a rating of 40 points or more. If fewer than 9 players are eligible via this category (i.e. there is one or more multiple winners within these 9 events or a winner has already won an event in Categories 7,8 or 9, or is otherwise exempt in Categories 1-6, or there are insufficient tournaments with the approved rating), additional players from the Asian Tour Order of Merit as of 17 October 2011, in order of their positions, shall fill this category to 9 eligible players. 12. Players (not otherwise exempt in a higher category*) ranked within the Top 25 of the Official World Golf Ranking as of 17 October 2011. 13. If necessary to fill the field to 78 players, additional Tournament Winners (not otherwise exempt in a higher category *) from the 2010 WGC-HSBC Champions through the event preceding the 2011 WGC-HSBC Champions, which shall be identified as those winners of events from the 2009 WGC-HSBC Champions to the 2010 WGC-HSBC Champions with the highest Official World GolfRanking Strength of Field Rating, having a rating of 40 points or more, and players from the Official World Golf Ranking as of 17 October 2011, outside the top 25 not listed in an above category, in alternating order beginning with Additional Tournament Winners. I’m an intern at LHWH Advertising and PR in Myrtle Beach, South Carolina, and I’m researching various golf blogs (legitimacy, contact info, content) that some of our clients may be featured on. If we wanted to contact you directly with a press release or to have you blog about one of our clients, how would we do that?